The Brihanmumbai Municipal Corporation's (BMC's) plan to levy a one per cent surcharge on the sale and purchase of properties is expected to hit the residential property market further. The country's most expensive property market, which was going through a prolonged slowdown for the past four years, was just coming out from the impact of demonetisation. "Property developers are already making losses and authorities think real estate is the best industry to levy all the taxes. It is a very bad sign," says Vijay Wadhwa, chairman of Wadhwa group, a prominent Mumbai developer. Amit Bhagat, chief executive of ASK Property Investment Advisors, agrees that the government and municipalities are overloading taxes on the sector. "Affordability is already low in Mumbai. Any new levy will bring it down further," adds Bhagat. 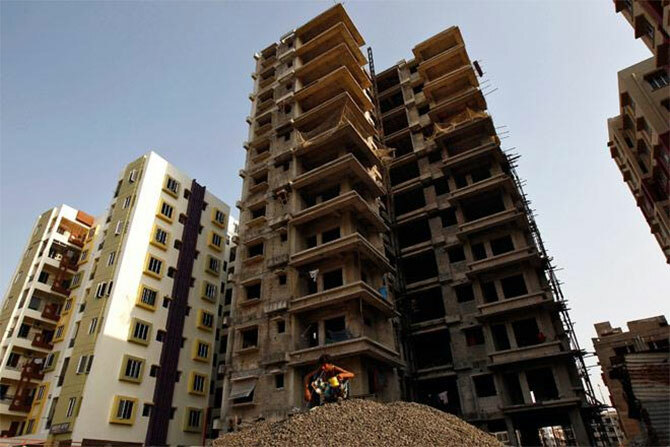 The average home prices in Mumbai have touched Rs 12,000 a sq ft, making even a 500 sq ft apartment to cost Rs 60 lakh. According to sources, property sales are 25 to 30 per cent down from last year's levels in Mumbai. "It (surcharge) is not going to help sentiments in the market," says Shishir Baijal, chairman of Knight Frank, a UK-based consultant. The ticket size of new launches of residential units across the top eight cities saw an average decline of 14 per cent on a year-on-year basis in 2016, according to the latest report from Cushman & Wakefield (C&W). Mumbai saw a decline of 30 per cent in ticket sizes. Restricted new launches and reduction in “effective cost of their property” by the developers were the prime reasons for the decline in ticket size, Cushman said.